In an attempt to bring the line's policies more in line with the cultural norms in it's cruising grounds, Royal Caribbean will introduce a new policy from Spring 2012. All cruises sailing from South America, Asia, Europe, Australia and New Zealand will have a drinking age of 18. As around half of the line's passengers are from outside of the United States where drinking ages are lower, this will be a welcome change for those 18-20 year olds who are used to having a beer when they want one. Previously, the policy was that passengers over the age of 18 could drink on cruises originating from those places only if if their parents agreed to sign a waiver allowing it. 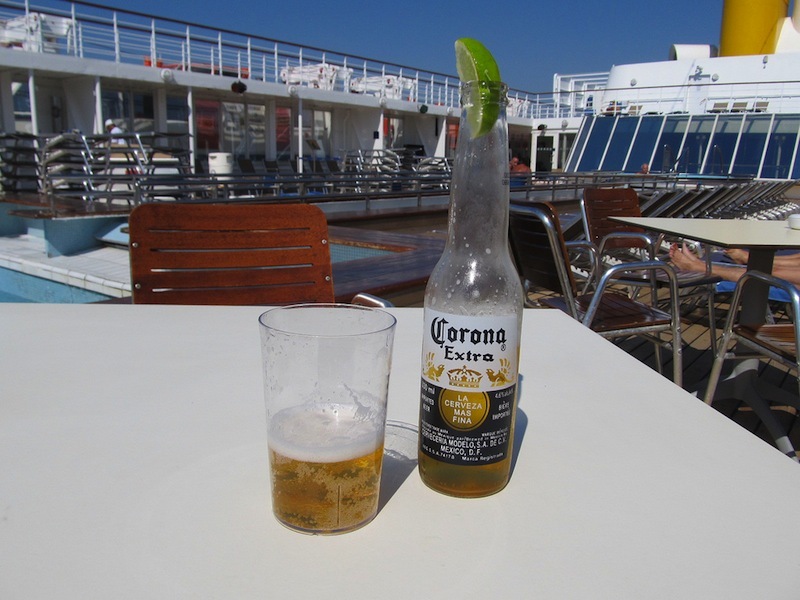 On cruises from North America, the drinking age will remain at 21. 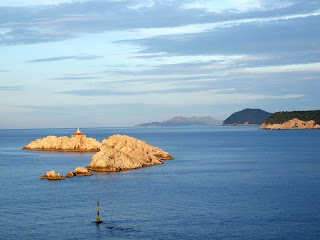 One of the disadvantages of cruising is that it is limited to the sea, such is the nature of ships. River cruising goes some way towards solving this problem, however rivers are also limited. Princess Cruises has a solution- they are offering the "Swiss Splendor and Lake Como Cruisetour" which incorporates a 7-night tour of Zurich, Interlaken, Lucerne and Como, including a trip on the lake, with a 12-night Med tour. 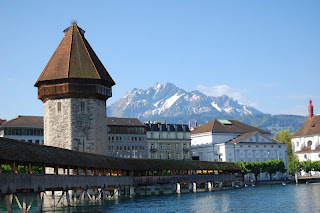 Switzerland has thus far been excluded from cruise itineraries, being completely landlocked. 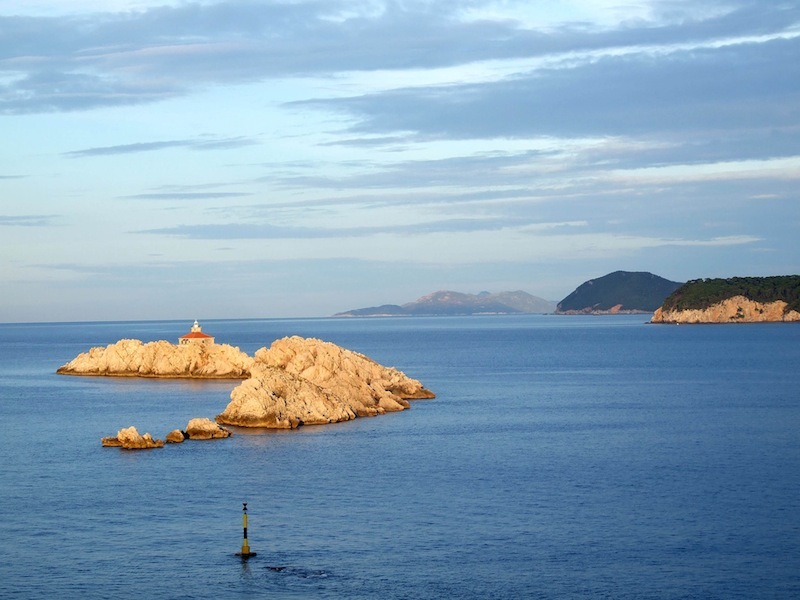 It is a beautiful country with some of the most stunning scenery in Europe, and this cruise tour will allow passengers to enjoy it along with an ever-popular Mediterranean cruise. Some highlights of the land section include a stop at the world's highest railway station on Switzerland's Jungfrau mountain, the bear park and heritage buildings of Bern, the gorgeous Chapel Bridge in Lucerne and a scenic boat trip on Lake Como. The cruise section takes in a wide range of Mediterranean ports- starting in Venice, it visits Athens, Kusadasi, Istanbul, Mykonos, Naples, Livorno (Florence/Pisa), Citavecchia (Rome), Monte Carlo and Barcelona. 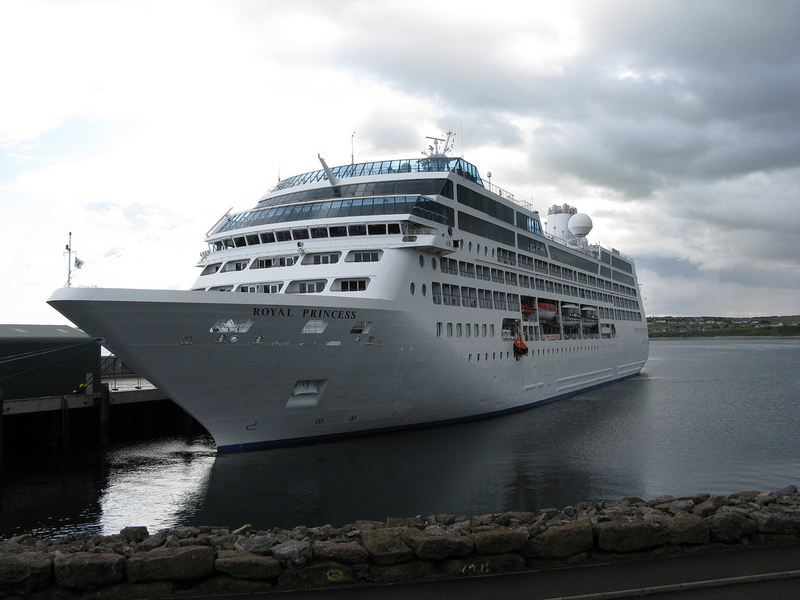 Currently there are two planned cruisetours, in May and July 2012. Have a loom at these and other cruises on our Cruisesalefinder websites. Princess Cruises' newest ship is well and truly underway after a keel-laying ceremony in the Fincantieri shipyard in Italy. The keel-laying is the exciting beginning of the shipbuilding process for Princess, whose President and CEO travelled to Italy for the ceremony. The Royal Princess will join the fleet in Spring 2013, and a sister is planned for her- these 2 ships marking a new class of ships, whilst still adhering to the tried-and true Princess style. Notable new features are to include a glass-enclosed walkway jutting out over the water from the top deck on the starboard side, with a glass-floored bar balancing it to port. Also new to the line will be an adults-only pool and cabana complex. The original Royal Princess joined the line in 1984, christened by the Royal Princess Diana herself, and is now sailing as the Artemis for P&O Cruises. 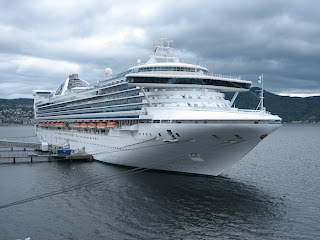 This newest Royal Princess is to commence sailing in spring 2013- these ships certainly aren't built in a day! Seabourn Cruise Lines has again been named the best small-ship cruise line of the year by readers of the Conde Nast traveller, a luxury travel magazine. It is the second year in a row for the line, and it has been included in the magazine's top luxury travel choices for 17 consecutive years. 2011 has been a year of growth for the line, with a 3-ship expansion being completed, these being slightly larger than the original ships but still considered small and intimate at 450 capacity. 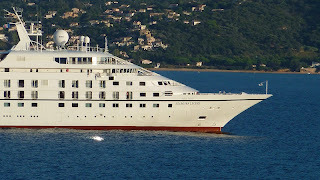 Seabourn is known for it's luxurious small-ship cruises, with everything from alcohol to gratuities included. Understated and elegant, every room is a suite and the wine selections are of impeccable quality. Smaller ships means more ports are available to Seabourn ships and the service is personal and intuitive. Seabourn is a great choice for those willing to pay for the absolute best in cruising, so why not treat yourself and try it out? Click here to book cruises on the Seabourn Pride, Quest, Legend, Sojourn, Spirit or Odyssey. Fremantle is a port city 30 minutes from the larger Perth, and is where cruise ships to the area dock. From Fremantle's Passenger Terminal, you can visit Fremantle, Perth and experience a bit of Australia's west coast. 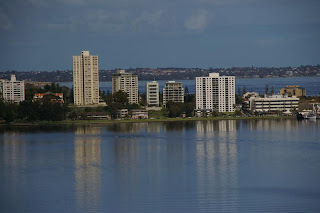 Perth is the largest city in western Australia and is very remote relative to other cities of it's size, with the largest nearby city being Adelaide, over 2000 km away. 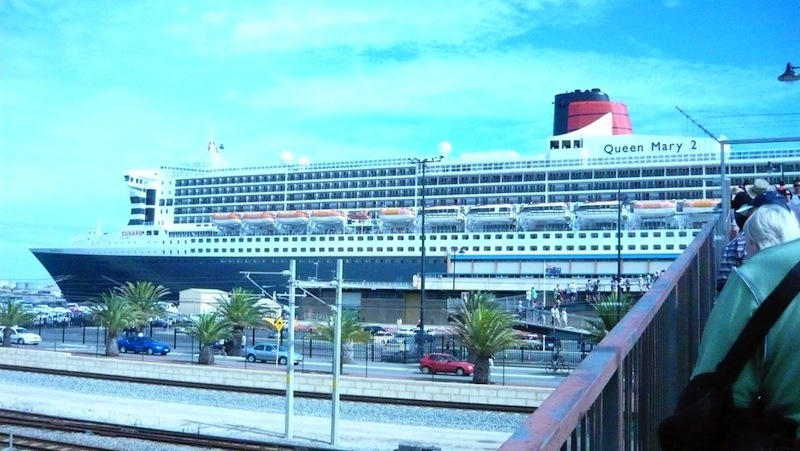 The cruise terminal in Fremantle is directly in the CBD, meaning it is easy to get buses, trains and ferries, and there is a free Perth-Fremantle bus. Fremantle is definitely worth some of your time, and if you have only a few hours why not spend it there rather than travel further afield? The port city is known for it's arty and eclectic atmosphere and residents, and is easy to explore by foot, so try bit of strolling and people-watching! It's Cappucino Strip is full of restaurants and cafes where you can watch the world go by. If you would like to make the short trip into Perth, you won't be disappointed. Sunny and cheerful, Perth is a relaxed city as befits it's location on the west coast. Cottesloe Beach is a favourite place to visit for sand and sea, as is Rottnest island, a short ferry trip from the city. If you have kids to entertain, there is Perth Zoo and Adventure World, a fun park with 30 different rides. If you would like to escape the city for a bit and see some of the western Australia landscape, Perth is surrounded by National Parks. Day trips can include Serpentine National Park, an hour from Perth and less from Fremantle, a beautiful park with waterfalls and bushwalking trails. There is also Walyunga National Park to the north of Perth, encompassing a section of the Swan River Valley and popular for white-water canoeing, bush walking and bird watching. For more information about the Port of Fremantle, click here. Melbourne is a delightful city to visit- a more sedate city than Sydney, it is low-key, centralized making it easy to walk around, and a very livable and visitable place- it has a more European feel than most of Australia's other cities, and is truly international. Cruises to and from Melbourne dock at Station Pier in Port Melbourne. There is a tram station here which makes it simple to get into the city centre. Once in the city, Melbourne has a "Greeter" service which is an amazing idea and used in several other countries worldwide. Here you can book (Must be 3 days in advance a volunteer local to give you a half day orientation of the city, for up to 4 people. This will be tailored to your interests, and is completely free, and in english or several other languages, depending on availablity. What a great way to see the best of Melbourne! 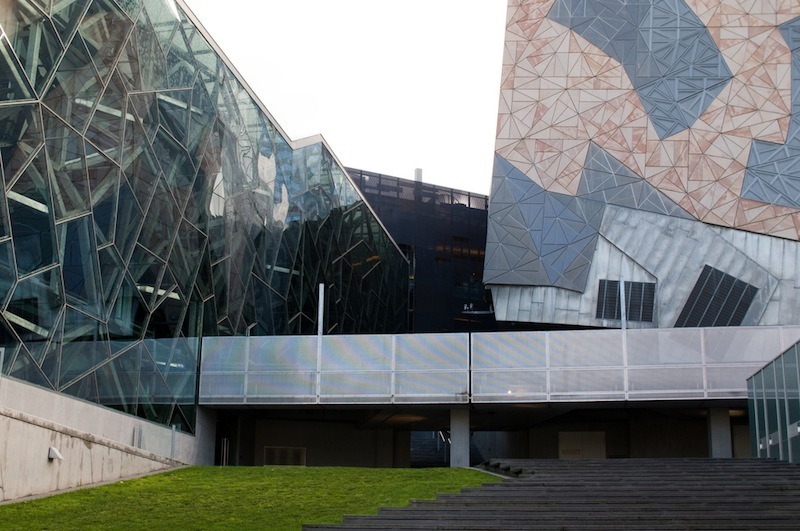 Melbourne also has stunning Botanic Gardens, and Federation Square in the city centre is a cultural hub with theatres, art galleries, restaurants and more. Take in a show or just relax at a cafe and watch the world go by. 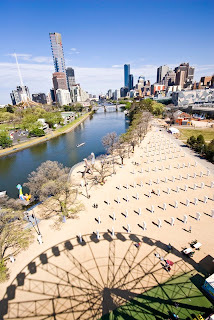 If you are in Melbourne for a while, the best way to visit all it has to offer may be an iVenture card- the See Melbourne Attractions Pass. With this, you can visit the renowned Melbourne Aquarium, see the city from the Eureka Skydeck and take a River Cruise amongst other things. Definitely worth getting one if you will have time to use it! For more information about the Port of Melbourne and cruises departing from there, click here. Sydney, or Seedney as you may hear the locals refer to it, is Australia's largest city and is a stop or departure/arrival port for many south pacific cruises. Sydney is located in Sydney Harbour, and is a bustling city both on the water and onshore. It is ranked as an Alpha+ World City, and is known as the "Emerald City" due to it's sparkling harbour. 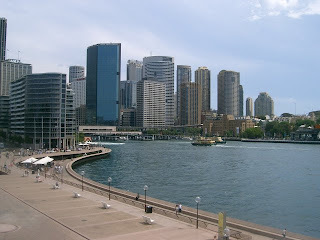 Cruise ships in Sydney dock at Circular Quay, which is very centrally located, making it a breeze to explore the city from your ship.You'll have you choice of transport- ferries, water taxis, taxis, trains and buses. Circular Quay is flanked by the Opera House and the Harbour Bridge, two major landmarks of Sydney. If you'd like to catch a show at the Opera House, look here for what's on when. Also within easy distance of the Quay are the Royal Botanic Gardens, 30 hectares of gardens right in the middle of the city. It is home to an amazing collection of plants and wildlife including many Australian natives. 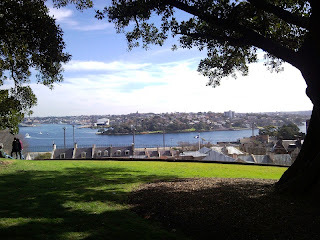 Also close by is Observatory Hill Park where you can find great views of the city. A great way to see some of the city and harbour is to take the famous Manly Ferry, a 30 minute trip to Manly on the northern shore. Not only will you see the sights, you will arrive in Manly, a seaside resort/suburb located on a peninsula and surrounded on 3 sides by water. 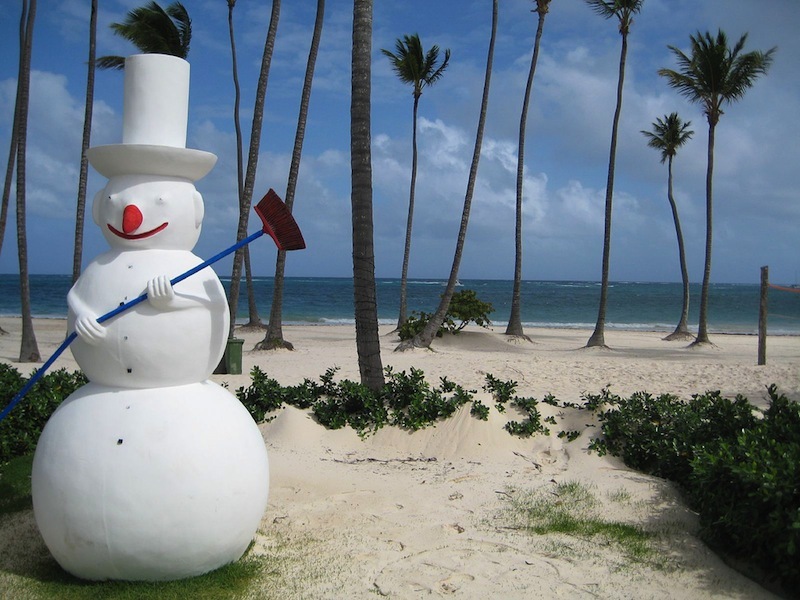 It is a very laid-back part of the city with a surfer atmosphere, and has many beaches including several long surf beaches on the ocean side. For more information on the Port of Sydney and cruises departing from there, please click here. 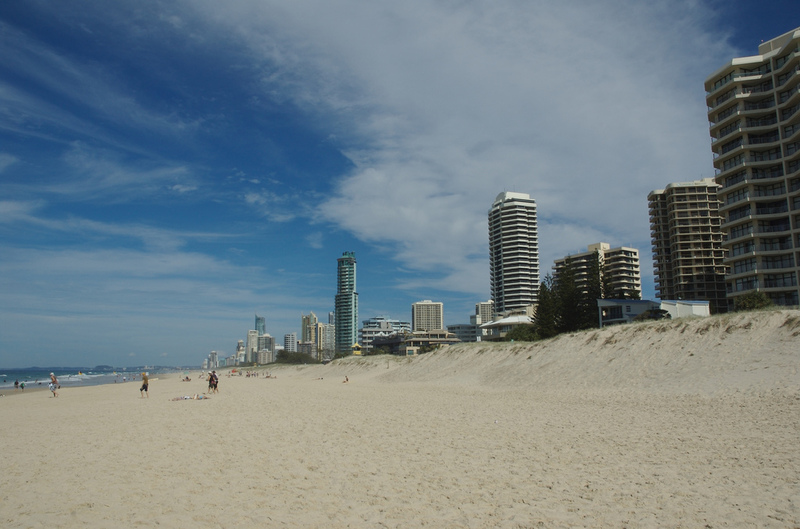 Brisbane, capital of sunny Queensland and close to the Gold Coast and Surfer's Paradise, is a popular cruise port. There are two cruise ship wharves- Portside Wharf, an international-standard cruise terminal, and the Multi-User Terminal which is further down the river and accessible by the bigger ships which cannot go under the Gateway Bridge. To the city centre, the options from the Multi-User terminal are taxis or arrangements (e.g shuttle buses)made by the cruise line. From the Portside Wharf, you can take the ferry from a nearby ferry terminal and see the city from the river, or a cruise line or public shuttle. 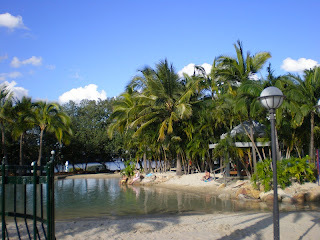 Brisbane has a lot to offer a cruise passenger- it is a relaxed and fun city in Queensland, the sun'n'surf state! To get a feel for the city, try the River Walk which follows the North Bank for 13km. A great way to stretch your legs after a sea voyage- although that doesn't really apply when your voyage was on a cruise ship! From there, what you do in the city depends on what you enjoy- the Queensland Cultural Centre is in Brisbane, home to some of the nation's leading art institutions. Nature-lovers may prefer the city's riverside Botanic Gardens, South Bank Parklands (this even has an artificial beach) or Roma Street Parklands, all oases of nature in the city. There are bars and restaurants galore, and the Gold Coast with it's amusement parks and beaches is an easy day trip. 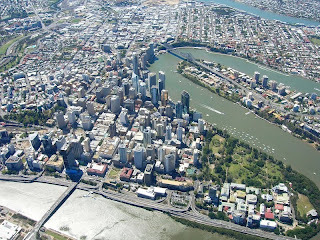 For more info on the Port of Brisbane and cruises from there, click here. 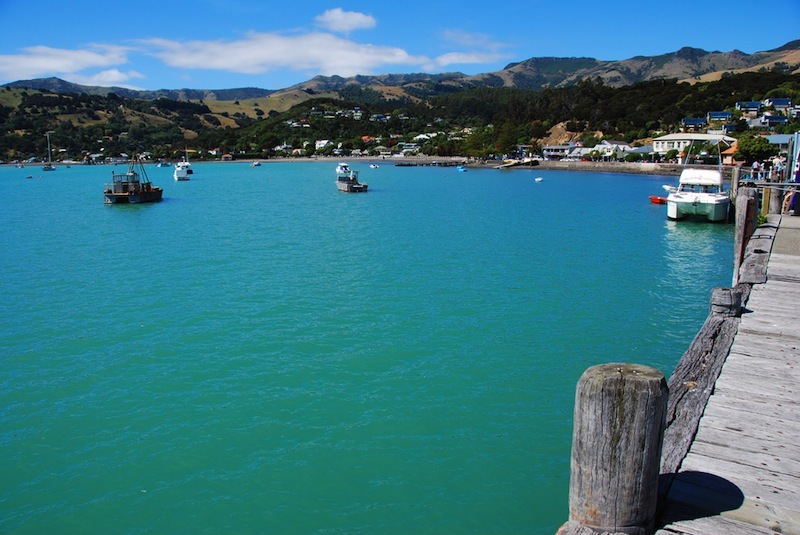 The Canterbury quakes may have damaged the port of Lyttleton, but cruise passengers need not worry- they will still see the region, with their port of embarkation moving to the charming town of Akaroa on the end of the Banks Peninsula. The town and it's inhabitants are looking forward to welcoming the 80 ships which have been diverted due to the quake, and have upped the public services and entertainment, with a temporary visitor's centre, a Town Crier to greet arriving passengers, street performers, extra signage and a free shuttle route. Ships will anchor offshore and take passengers ashore in lifeboats, where they can opt to stay in Akaroa or take a bus to Christchurch. 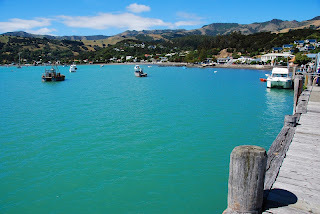 So what can Akaroa offer a visitor? 84km by road from Christchurch, has a permanent population of less than 1000 but this can swell five-fold in the summer. Populated initially by french whalers, the gallic influence is still very noticeable- streets, cafes and shops have french names, and the cemetery is full of french family names. 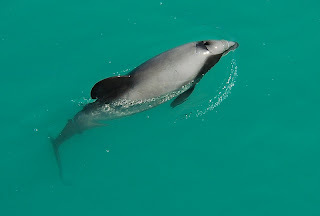 The town is known for it's lovely colonial architecture, and the activities provided by the Akaroa Harbour- take a yacht for a spin for a few hours, get paddling or slip into a wetsuit and swim with the little Hector's Dolphins. Check here for cruises to Akaroa and elsewhere! Work has begun on a new Cruise Ship terminal in Townsville, Australia. It will allow more ships to visit the area, and Townsville is hoping for growth in the city as a result of the increased cruise passenger traffic. premier of Queensland Anna Bligh broke ground for the development, which is expected to take two years. So why would you want to stop in Townsville? a city in the state of Queensland, it deserves a spot on your Australian cruise itinerary. It is not as big a city as the other major cruise ports, so easier to get a feel for on a brief visit. Castle Hill Loukout gives a great outlook over the whole city. 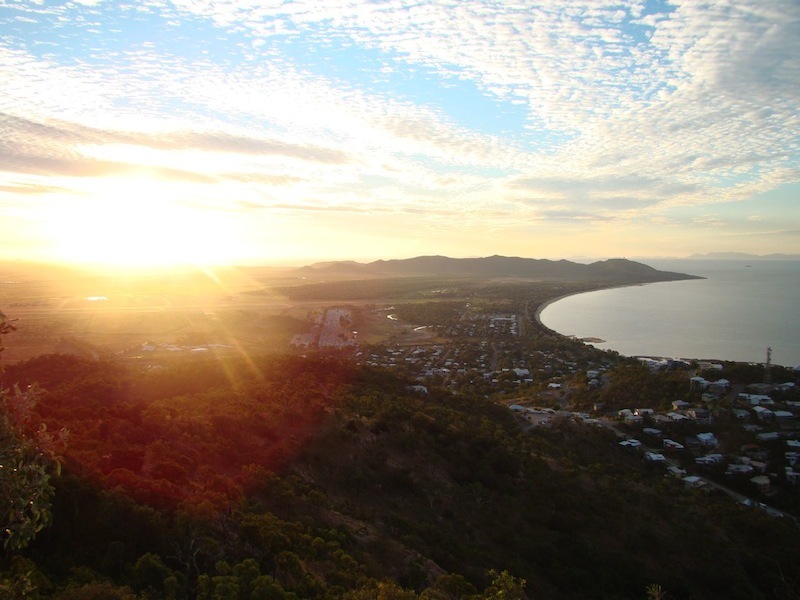 Townsville offers the best of North Queensland along with the best of Australia's world-class cities: idyllic beaches, a laid-back atmosphere, as well as great shopping and restaurants. If you have a day there, a great option is to visit Magnetic island, a 20-minute ferry ride from Townsville. 2/3 of this island is protected National Park and it will stun you with it's native Australian bush and beaches. Rent a scooter to explore, or use the island as a base for a diving or snorkelling trip. 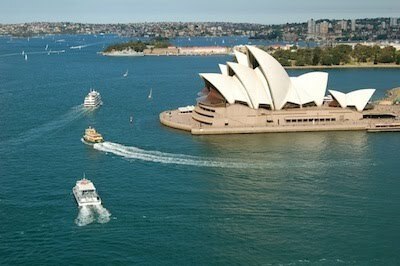 For Australia Cruises, click here! The Tahiti based Cruise Company Paul Gauguin Cruises has long been known as a small extremely luxurious boutique cruise line. It's ship the MS Paul Gauguin has cruised French Polynesia and the South Pacific since 1998, taking it's small amount of passengers to places where larger ships dare not venture. 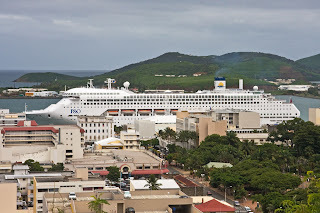 The company has recently bought a new ship, a 90-passenger capacity vessel which will be renamed the Moana and will sail an inaugural voyage for the cruise line in December 2012. This is exciting news for converts of Paul Gauguin's unique style of cruising. The ship, much smaller than most cruise ships which carry thousands, will be placed in the Mediterranean during the northern hemisphere's summer and in the Caribbean and Latin America during winter. It will be able to visit smaller ports that are less jaded by masses of cruise ship passengers, and explore shallower parts that ships with a bigger draught cannot reach. Paul Gauguin is a high-end cruise line and has very high staff-to-guest and space-to-guest ratios, all-inclusive pricing, all oceanview accomodation, 24 hour room service and facilities that bring you closer to the ocean such as a 'watersports marina' in it's current vessel which brings you to sea level so you can get in a kayak or go diving, swimming or snorkelling directly from the boat. This expansion will bring a new way of cruising to the Med and Caribbean, and is an exciting move for cruise lovers- especially those who like to take the road less travelled! 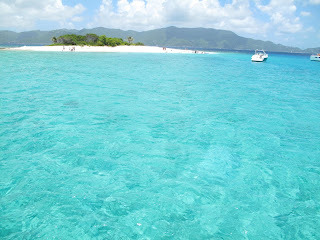 To see Paul Gauguin and other cruises, click here! A short walk from the Cruise Ship Terminal on Princes Wharf, Auckland has redeveloped what was once an industrial area of it's waterfront, including the somewhat ugly "Tank Farm." The Wynyard Quarter, as it is now known, is a great place for visitors to Auckland to learn a bit about the busy port that the city is based around, have lunch at one of the great new restaurants and just have a stroll along the waterfront- I did this one evening and it was a great way to spend a few hours! The Quarter has retained some of it's industrial character, with the visitor's centre and restrooms constructed from shipping containers in a precarious-looking stack, and the old Golden Bay Cement Silo still in place overlooking the new 'Silo Park.' The restaurants are housed in redesigned sheds, and the North Wharf has retained it's working-wharf feel, with fishing boats tied alongside. There are art and sculpture installations dotted around the area, including some curious oversized sun loungers on wheels. The development also includes the Viaduct Events Centre, which offers 8 seperate spaces for conferences, galas and exhibitons, so if you are cruising into Auckland, it will be worth finding out if anything is going on there! Trams have been reintroduced with a 15-minute track around the area, and a swinbridge connects the Quarter to Te Wero Island and Quay Street, making it a short walk to downtown Auckland and Princes Wharf. The restaurants in the quarter are all new, and include seafood, grill, indian cuisine, pizza, kiwi favourites, sushi, a tapas bar as well as a gelateria for those pre- or post- dinner walks! So, if you're cruising into or even out of Auckland Port, don't miss this wonderful new area. 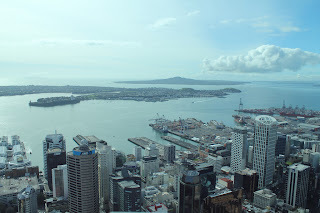 Click here for cruises from Auckland. Food on a cruise ship was once regarded as being chosen for quantity over quality- if you went on a cruise, you invariably came away heavier after the buffet and sun loungers. The food was plentiful and decent, but not a reason to go cruising. 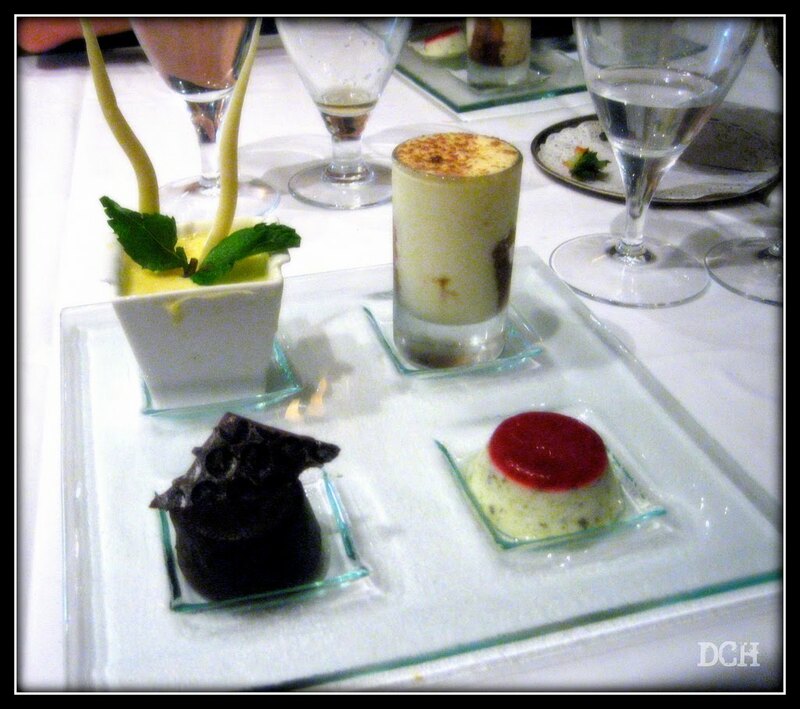 Now, gourmet food is taking a starring role in the cruise experience. Some cruises are even centered around food, with guest chefs, lectures on food and food-based shore excursions. Cuisine onboard ship can be tailored to the Line or to the destination- i.e, Cunard has daily English Tea Service. On Holland America, there is iced tea midmorning when in the Caribbean, hot chocolate served on deck for the Alaskan itineraries and there is a ceremonial Indonesian afternoon tea and coffee once per cruise. Many Ships have eateries created by well-known chefs- Cunard has Todd English restaurants on two of it's Queens, and the menus of Crystal's Sushi Bar and Silk Road are created by Nobuyuki "Nobu" Matsuhisa. Healthy eating is an option aborad ship, with most lines providing gluten-free, low sugar, low fat and low sodium options. Guests can get hands on- Oceania Marina has a Culinary Centre in which cruisers can take cooking lessons. Specialty dining is generally at an extra cost- but the quality of the normal service and buffet is on the rise too. So, if you're a foodie and want to see the world, a cruise is the way to go! 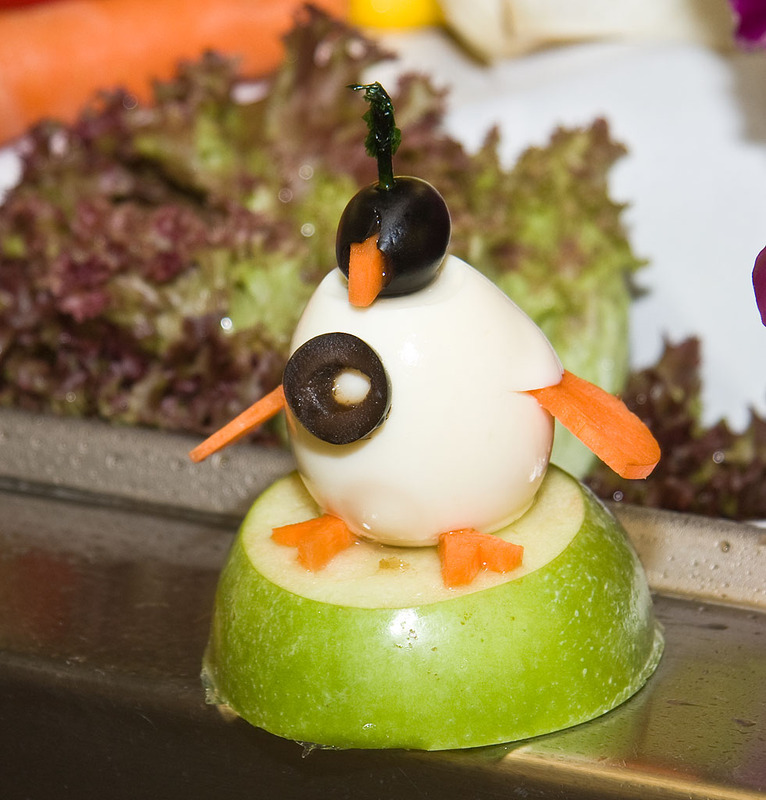 Of course, no cruise is complete without fruit and/or vegetable sculptures. Australian cruisers have voted. The results are in, and Princess cruises have come out on top as Australia's favourite Cruise Line. The survey was conducted online by OzCruiseClub.com, and Princess gained a significant increase in their share of the votes- up by 13% from last year to overtake P&O and claim 47% of the vote in total. With the Sea Princess being added this summer, their fleet based Down Under will increase to 4, showing Princess's dedication to the Australian market. It has paid off! To book Australia cruises, click here! Before there were airplanes flying to all destinations, there were great liners which took people across the oceans. My mother immigrated from the UK to New Zealand by boat 50 years ago, as it was the way that people traveled. There was steady traffic of great ships across the Atlantic from Southampton to New York as people went back and forth between Britain and the United States. One of the most famous of these ships is undoubtedly the White Star Line's Titanic, a ship that holds a mysterious allure and fascination for many people. Billed as unsinkable, it sank halfway across the Atlantic and stories of the grand ship and her passengers are still told today. Molly Brown, who rowed a lifeboat to safety, Captain Edward J Smith who did the honourable thing and went down with his ship, Mrs Straus who refused to board a lifeboat because her husband was not allowed to. These stories, as well as the tales of the glamour of life aboard the titanic before the fateful collision, enthrall us. Now, we hop on a plane and can be almost anywhere within a day or two at the very most. The crossing of the Atlantic has become almost redundant, but the prestige of ocean liners has remained in our imaginations. The Transatlantic Crossing is a tradition, an opportunity to travel without hurry but with glamour and luxury. 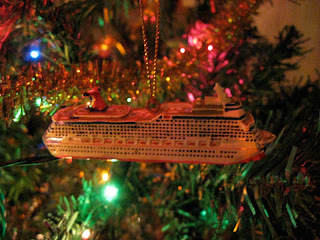 Many cruise lines offer transatlantic crossings as repositioning- to move the ship from one continent to another as the seasons change. 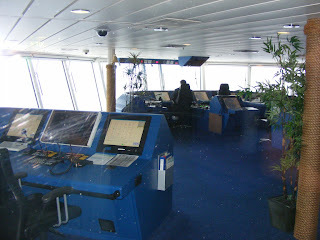 However, Cunard does crossings in style- as they were done in the era of the ocean liners. The Queen Mary 2, Cunard's flagship, launched in 2004 and christened by the Queen of England herself, is classically styled with her black, red and white paint job and remnants of the class system shown in her dining structure. She is built primarily as an ocean liner rather than a cruise ship, sturdier and faster than most contemporary ships. Passengers on crossings can take as much luggage as they like, even their pets. Although a transatlantic crossing does not offer the delights of stopping somewhere new every day or two, it allows passengers to benefit fully from what the ship has to offer. Most will testify that 6 days at sea is not boring, in fact it goes all too fast! And when you arrive there is the excitement of having made a true sea voyage. 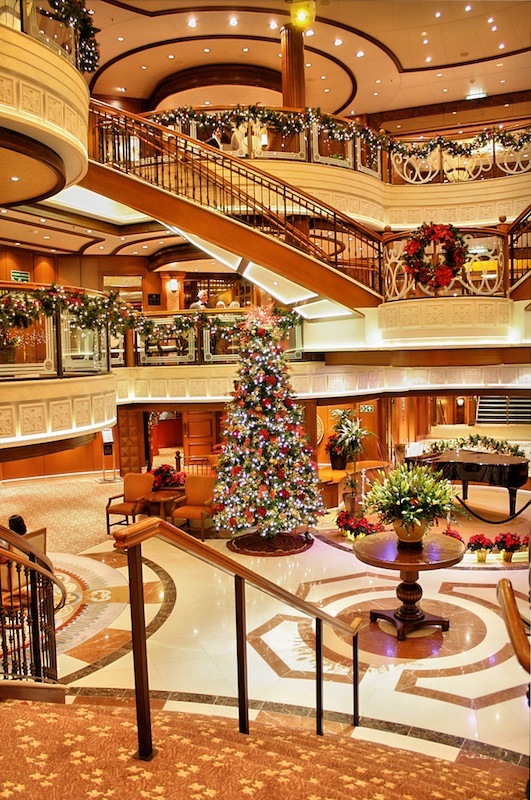 Cunard provides no end of glitz and glamour. 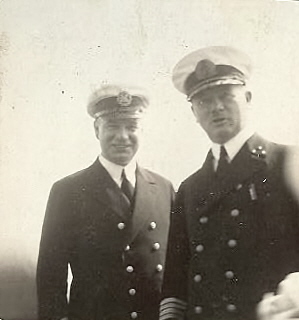 Formal (black tie) dinners take place several times a week, with high standards of dress every night whilst at sea. There is ballroom dancing in the evenings. During the day, there are no end of things to do- from your expected favourites such as pools and gyms, to lectures on a range of topics and even an onboard planetarium! This type of cruise is not everyone's cup of tea- for those who love sun, sand, shorts and flip-flops, it is not recommended. If you would like to recapture the glamour of the era of the great ocean liners like Titanic (minus the sinking!) 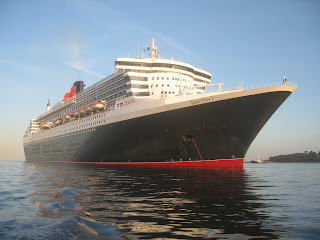 and voyage in style and stress-free, then a crossing on a Cunard ship is certainly right for you. 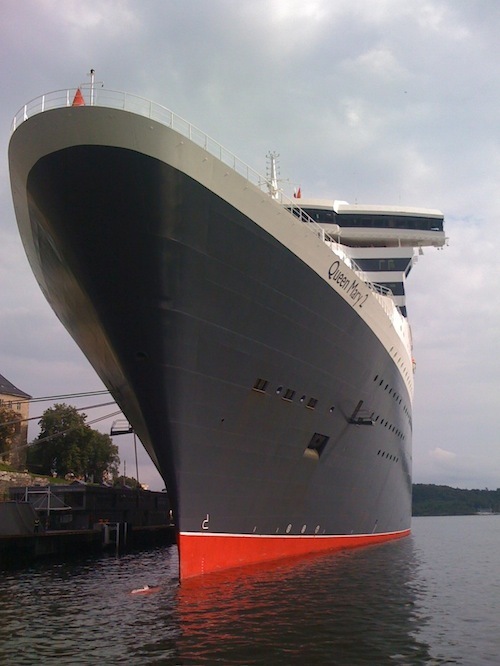 For crossings with Cunard or other lines, check out http://.cruisesalefinder.co.uk! From November 2011, MSC Cruise Lines will be launching a series of 5 gourmet cruises, and have recruited top chefs from various European nations. Spanish michelin-starred Paco Roncero will sail aboard the MSC Fantasia from Nov 27th and provide top-class spanish cuisine to passengers. Paco is known for his specialty work with olive oil. Aboard the MSC Splendida from the 7th of January 2012, italian chef Mauro Uliassi will wow guests with pizza, pasta and.. whatever else italian people love. Expect some genuine Italian hospitality on this cruise. From the 28th of January, chef Gilles Epié brings the gallic influence to the series. Awarded a michelin star at the age of 22, he will sail aboard the Splendida and cook fine french fare like that of his restaurant in Paris. Also on the Splendida, UK chef Anthony Worral Thompson, of "I'm a Celebrity, Get Me Out of Here" fame and known for his health-conscious cooking, will bring the english comfort food from the 4th of February. Lastly, famous michelin starred german chef Kolja Kleeberg will sail on the MSC Lirica from the 1st of June, to treat cruisers to his dishes. 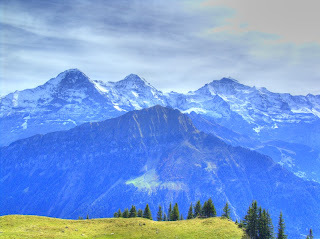 Kolja has been a popular guest on many german TV shows and is sure to wow passengers. Can you get married on a cruise ship? Yes you can, and with some cruise lines you can even marry at sea rather than at a port. The first wedding at sea took place on a Princess Ship in 1988, with the captain performing the ceremony. Now, other cruise lines such as Celebrity, P&O and Azamara Club offer at-sea weddings by the captain. Many other lines, although not licensed for weddings in international waters, can provide weddings aboard at a port or onshore. Onboard weddings range from just ceremonies to elaborate receptions. Most lines offer packages including various traditional wedding bits and pieces- a cake, a photographer, flowers, etc. Details of these are best found on their websites or by talking to your travel agent. Cruise ship weddings are very popular, and they have distinct advantages. As destination weddings go, they often work out reasonably cheap, as weddings are a common occurrence aboard, and food is included in cruise fares so only extras are paid for. Also, the honeymoon is readily available! Like the food on P&O ships? You can have it at home! The line will have available for purchase on cruises a cookbook called "Holidays." The book contains a selection of dishes from the culinary team. These range from macadamia nut pancakes with mango and maple syrup to wagyu burgers and spatchcock with eggplant salad. There are more than 16,000 recipes that make up the cruise line's complete offering, so how did they choose just a few? According to Executive Chef Uwe Stiefel, the book contain an "array of passenger's top dishes." The dishes chosen are also designed to be easy to prepare- important when you are on "Holidays!" Books will cost AUD$40 on P&O cruises. Celebrity Cruise's latest Solstice-Class ship, seen previously squeezing its way out of the river to freedom, has been officially named in a ceremony in Hamburg, with godmother Michelle Morgan cutting the ribbon. Michelle is the CEO of Signature Travel Network, and like the other Solstice Class godmothers, a breast cancer survivor. The 3 other godmothers joined her as she cut, fittingly, a pink ribbon. For Celebrity Silhouette cruises, click here. Cruise lines are not known for their environmental efforts- in fact, in the past cruise ships have been blamed for contributing to the destruction of the maritime environment on which they rely to do their thing. Discharging waste, constantly running engines- these things do not make an environmentally friendly picture. Holland America ships have onboard Environmental Officers to educate guests and staff about environmentally friendly measures that can be taken on the ship. Like many hotels, guests are encouraged to reuse towels where possible and low-flow toilets and showers are installed in cabins. Their attention to detail is groundbreaking: Non-toxic detergents are used in drycleaning, and onboard materials are printed with soy-based inks. In the medical centre, digital technology is being implemented to eliminate x-ray chemicals. Passengers are issued with e-tickets instead of the usual many sheets of paper in plastic ticket holders. Condiments are dispensed from bulk dispensers rather than individual packeges. In 2009, the line ranked first in Friends of the Earth's cruise ship environmental Report Card. Their ships connect to shore power where available and have top-of-the-line wastewater treatment facilities, which turns blackwater into water almost at drinking water standard, and anything that can be recycled is recycled. Celebrity Cruises' Solstice Class ships are leaders in eco friendly systems, with solar panels installed to elp power the LED lights, which use less energy than traditional lightbulbs. Windows are tinted to keep the rooms cooler and reduce the need for air conditioning. Chilled river rocks are used in the buffets instead of ice to reduce water usage. Celebrity also has a great wastewater treatment system to treat sewage and return water to a clean condition. Lindblad Expeditions is a smaller line but features regularly on lists of eco-friendly cruises. Cruising to more farflung destinations like the Galapagos Islands, Antarctica, New Zealand, the Arctic and other less-popular cruise destinations, it works with National Geographic to give passengers not only an environmentally responsible cruise but a true environmental experience- definitely the cruise line for those interested in our world! The line partners with many environmental organisations such as the Alaska Whale Foundation and Oceanites to raise awareness and educate people about the environment. Onboard, only locally-sourced and sustainable food is served. They recently launched a Climate Change Action Plan to manage their carbon footprint, including strict measurement, education and carbon offsets. There are many more cruise lines with programmes in place to reduce their impact on the environment- Carnival recycles, incinerates or offloads all waste on land so none is dumped in the ocean, and has installed devices to monitor water quality on 2 of its ships. Disney uses water from the air conditioning systems for all of it's laundry and painted hulls with a non-toxic coating which reduces drag in the water.Royal Caribbean have a 'nothing goes overboard' policy and have reduced waste with bulk condiments and no disposable utensils or plastic water bottles. They also have purchased a large amount of biodiesel, have climate change and pollution laboratories on one of their ships and shaped their ships to move more efficiently through the water. So, cruising can be a responsible option, depending on the line you chose and of course your own behaviour whilst on board. Reuse your towels, minimise the rubbish you produce, recycle where available and NEVER throw anything overboard! Australian-based Shore Excursions is a new company which will offer alternatives to shore trips organised by the cruise lines. Set up by a former Carnival Australia director, it aims to end the monopoly that the lines have on shore tours and offer options to passengers. 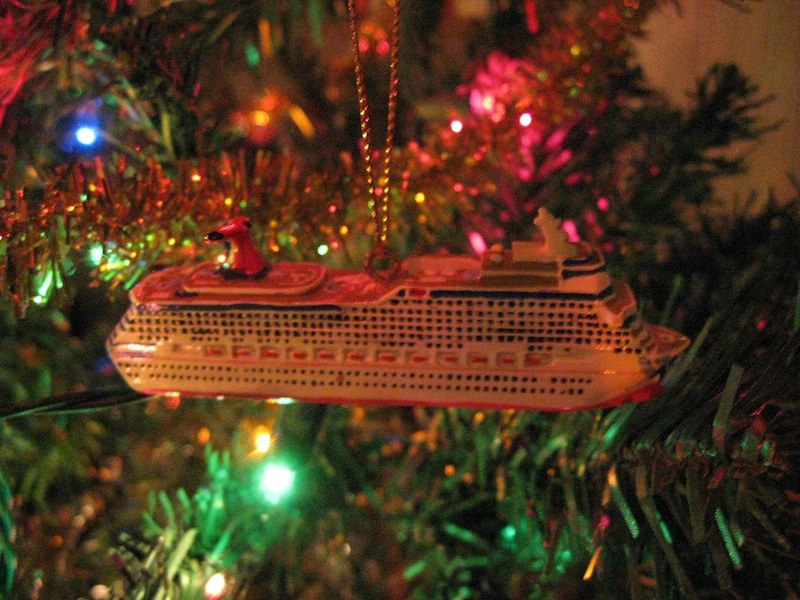 Is it a threat to the Cruise Lines? managing Director Michael Ager says the aim of the company is not to attack the lines but simply to offer alternatives. Norwegian Cruise Lines has two new ships on order, scheduled to arrive in April 2013 and April 2014. Instead of coming up with names, the company has opened it up to its passengers from the USA and Canada and is running a contest. The winners will get a trip for two to 'their' ship's inaugural festivities. To enter the contest, simply fill out a short entry form at www.cruisingfornames.usatoday.com, choosing a name that reflects the freedom, innovation and flexibility of cruising with NCL and invoke feelings of a 'break' at sea. The names should start with the word 'Norwegian.' Easy! The new 'Project Breakaway' Ships will carry 4,000 passengers each, and more details of what they will contain will be released in the next few months. 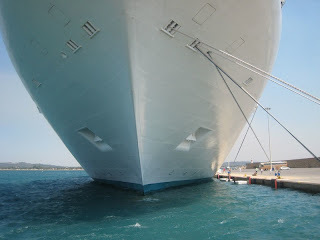 Good news for the Australasian cruising market- Royal Caribbean's 'Rhapsody of the Seas' is set for a freshen up in 2012. It will be in dry dock in Singapore for 4-6 weeks, whilst cabins, dining rooms and entertainment areas undergo an 'extensive overhaul.' Some of the features of the Oasis and Allure ships will be added, with similiar upgrades planned for other older Royal Carribbean ships in the future, to bring the entire 22-ship fleet up to date. The overhaul will cause 4 of next year's cruises to be canceled- but 2 cruises to and from Singapore will be added to the itinerary. Royal Caribbean has introduced a new offering for passengers- the All Access Tour, which for $150 per person will take you to the bridge, galley, behind the scenes in the theatre, the engine control room and other parts of the ships usually off-limits to passengers. The tour group will also have the opportunity to meet key staff and learn what it takes to deliver the cruise experience. Safety concerns have in the past kept behind the scenes areas strictly off-limits to non-crew members- especially after the 9/11 attacks. However in the last 4 years Princess and Carnival Cruises have introduced similiar all-access tours. All tour groups are closely supervised by security! Princess Cruises debuted in February this year a new initiative called the Bon Voyage Experience, which harks back to the days of trans-atlantic voyages when families of passengers would come on board to see them off. This was scrapped a long time ago, again due to tightening security, but has been brought back. The 'Experience,' priced at $39 dollars, allows guests onboard to check out the ship on sailing day, and includes a 4 course lunch and tour. The cost of the tour can be put towards a future Princess cruise. 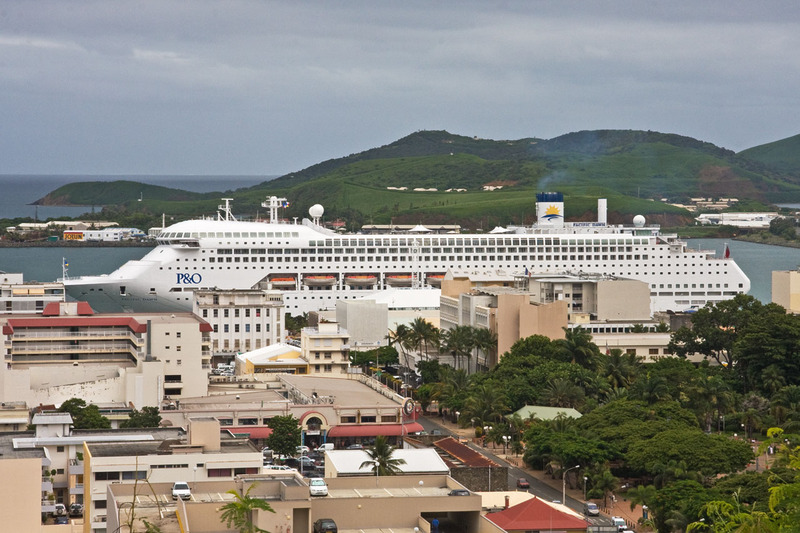 Passengers are farewelled in style, and Princess promotes its ships to their families. Everyone wins! The new luxury cruise ship 'Celebrity Silhouette' has squeezed through a canal at places only 5 feet wider than it is. Celebrity Cruises' latest ship performed a remarkable reverse exit from Papenburg, germany, assisted by tugboats and moving at lightning speeds of around 4 miles an hour. It also travelled along an aqueduct over a motorway, and necessitated the removal of power lines and railway tracks. The ship has relocated to Hamburg and will soon undertake its official maiden voyage to Rome. Features of the new ship include a rooftop lawn in keeping with it's sister ships, and a Lawn Club grill where passengers will be able to grill their own food. Figures from 2010 have shown that New Zealanders are the fastest-growing cruise market, with 509,578 cruisers from the land of the long white cloud last year. 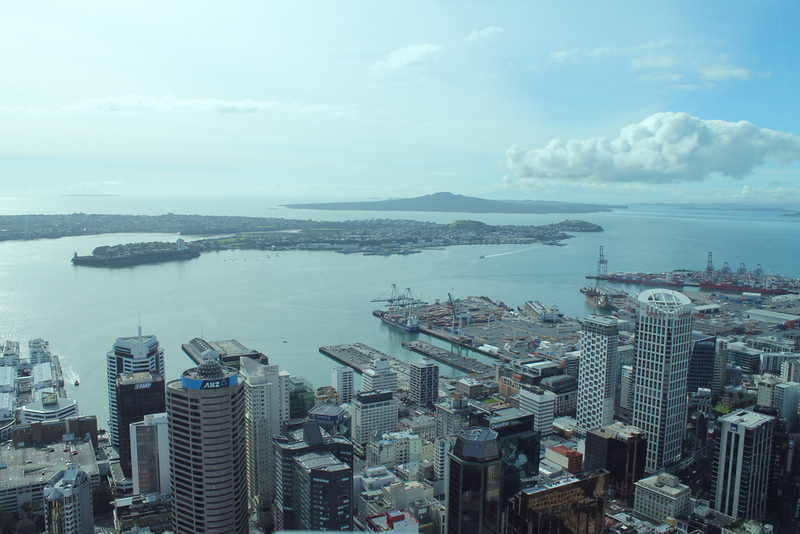 Leaders in the industry have said that it is looking to be an exciting few years for the cruise industry in New Zealand, with more ships making their way there as supply for the demand. This summer season new ships sailed from NZ's ports. Cruise lines are directing attention towards the south pacific- only one per cent of New Zealanders have taken a cruise, so there is potential for a lot of growth yet! Australasia has it's first female cruise ship captain- Sarah Breton. She is one of only 3 women in the role worldwide, breaking into what is predominantly a boy's club. Men rule the waves down under no longer! Sarah, from Essex in the UK, has been a captain with P&O since 2010, and will take command of the Pacific Pearl in July. She has, according to P&O Australia's CEO Ann Sherry, worked her way up- she has been with P&O since 1989. Sarah will not be the only female with authority on the Pacific Pearl- Cruise Director Zoltina J Medwick-Daley; Hotel Director Jane Herren and Admin and Revenue Director Martina Damonte will form part of the team that runs the ship. An impressive group of women! 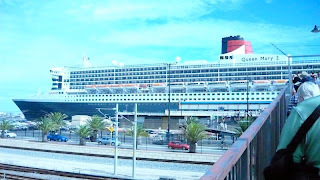 Cunard Line's Queen Mary II, that is. The great ship will make a Royal Circumnavigation of New Zealand in 2013, departing from Sydney in March. She will visit Auckland, Wellington and the Bay of Islands, pass through the Milford Sounds and call in at Christchurch for the first time after the cancellation of an earlier visit due to the quakes. There will be two itinerary options available: the 12-night circumnavigation, or a 19-night option from Sydney to Fremantle. Passengers booking before the end of this year will be eligible for discounts, so get in quick for this royal opportunity! For Cunard and other cruise bookings, click here! Australasia and Asia are about to receive a new resident, and a rather large one- Royal Caribbean's megaliner 'Voyager of the Seas.' It will be the 5th Royal Caribbean ship in the area in 2012/2013, as the company responds to growth and opportunities in the cruise market Down Under. The 'Voyager' was the largest ship on the seas when launched in 1996, and although she is now outsized by several others, with 1556 staterooms, 'Royal Promenade' indoor main street, skating track, an ice rink, golf simulator and inside cabins with a view, the ship will certainly add something to cruising in the area. She will operate 12 various South Pacific itineraries from Fremantle and Sydney, and these are due to go on sale early next month. For cruise deals and bookings, please click here. New P&O ship for cruise-hungry Britons! Britain's demand for cruise holidays is high- so high that P&O has announced its intention to build a new supership for british passengers. 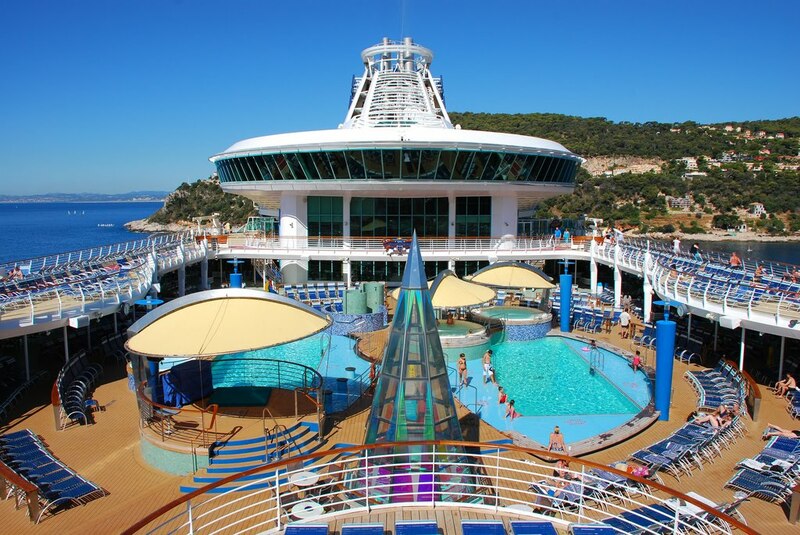 It would seem that the british are very enthusiastic about their cruise holidays- to the tune of 1,812 new cabins, 12 restaurants, three swimming pools, several lounges, a spa, a cinema, a theatre and a gym. Parent company Carnival has commissioned the ship from Italian shipbuilders Fincantieri, and it will by no means be the largest ship on the high seas, but will still be a major and welcome addition to P&O's fleet, and is said to include the best features of the various other P&O ships. For P&O and other cruises, please click here. P&O's newest ship was named this weekend in a ceremony in Southampton, presided over by her godmother, singing legend Dame Shirley Bassey. The VIP event involved a performance by opera group Incognito, and actor Hugh Bonneville as Master of Ceremonies. Fireworks, silver confetti and the traditional smashing of a bottle of bubbles saw the former Royal Princess become Adonia. A minor makeover to 'briticize' the ship meant that the electrical sockets in the cabins have been changed to British 3-pin ones, a few restaurants have been added and the currency onboard is now Sterling. 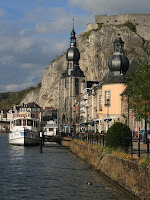 Scenic Tours has 5, soon to be 6, ships operating on the waterways of Europe. River Cruising is becoming more and more popular- making it possible to see inland Europe with the added benefits of cruising. Namely, on board everything is at hand, and holidaymakers only have to unpack once! Scenic Tour buses follow the boats to make sure that people can get off the ship and properly explore the countries they pass through. Over 80% of cabins have a balcony and window to enjoy the scenery, which is understandably stunning as the ships navigate the rivers of Europe. Another of Scenic's drawcards is all-inclusive pricing- dining, drinks, amenities and onshore excursions are included in your cruise price. No unexpected bills when you arrive home! So, why not give it a go and see Europe from the comfort of a ship. Prices start from AU$5950 for the 15-day “Jewels of Europe” Amsterdam to Budapest river cruise. Book Europe River Cruises here! Carnival Cruise Lines will for the first time be based in Sydney, with the ship 'Carnival Spirit' in dry dock undergoing a refit which will "aussify" it and make it ready for an australian market in 2012. Carnival has identified Australia as a market open to cruising, and will market the itineraries with video and online to cruise rookies. 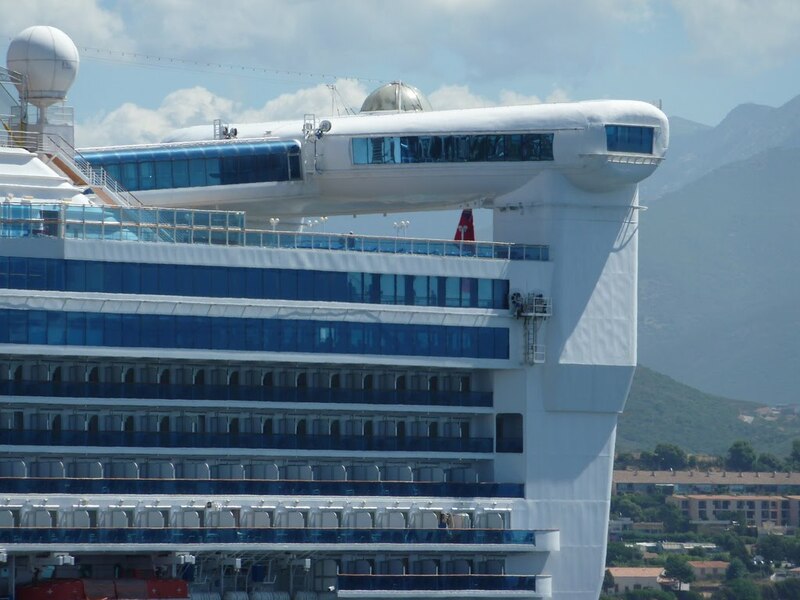 One new feature for the fun-loving aussies is to be the steepest waterslide on the seas, and a children's pool area with a giant water drop bucket, reports Cruise Weekly. What else makes a ship more Australia-appropriate? Gum trees? live rugby matches? Not quite- the menu will be inspired by the local cuisine, pricing will be in AUD and tipping will not be required, to fit with the Australian cultural norms. Power points will be local, and Carnival hopes to include some of Sydney's cafe culture into onboard life. Cruises on the Sydney-based Carnival Spirit are available now! See here to book a cruise. Princess cruises' Grand Princess will be in a dry dock in Freeport, Bahamas for 24 days whilst she is refitted to add some of the cruise line's trademark features. One major change will be the removal of the Skywalker's night club perched high on the stern of the vessel, as it reportedly does nothing for fuel economy! Additions are to include a nightclub called One5 Lounge, a pizzeria and tea lounge, and 7 new suites. other key areas on the ship will be renovated. Until May 4th, cruisers and anyone interested can follow the refit by way of an online video diary. The diary is hosted by Cruise Director Martyn Moss. "We have seen from past refits that passengers love to keep up-to-date with what is happening on board and, as a British favourite, the Grand Princess video updates are set to be 'must-see' viewing,"
Pieter Van der Schee told The Mirror. 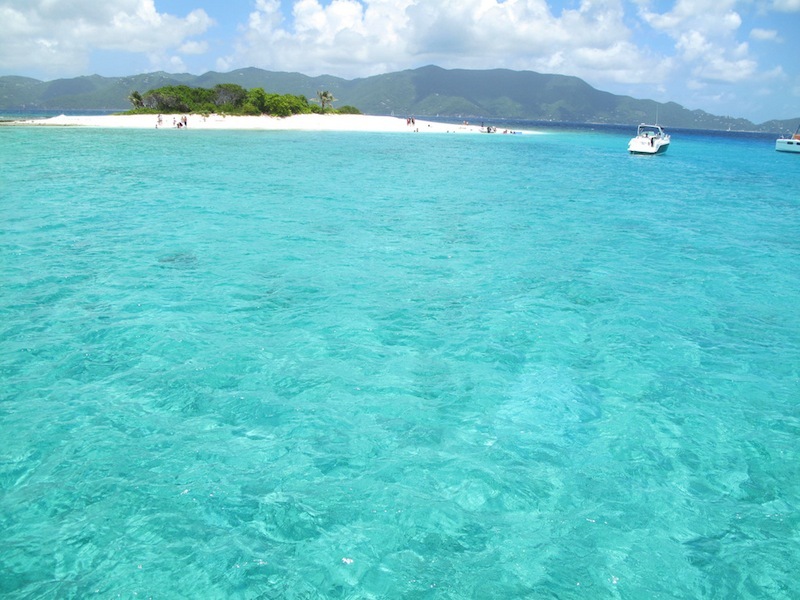 For great cruise deals on Princess and other lines, click here! Royalists who have booked a cruise that clashes with the wedding of the century (so far) need not fret- Cunard Cruise Lines are doing what they can to make sure any monarchy enthusiasts on board won't miss out on the excitement. On April 29th, as Kate and Wills tie the knot, the Queen Victoria will be crossing the Mediterranean, and the Queen Elizabeth and Queen Mary II the Atlantic. The wedding ceremony will be broadcast live to passengers in their 800-1,000 person capacity Royal Theatres, reports Time Magazine. There will also be a commemorative Royal Wedding dinner with white-iced fruitcake for dessert. Cunard line says their passengers are likely to have an 'above average interest' in the events of April 29th and want to ensure that they don't miss a minute of it because they are not on shore. 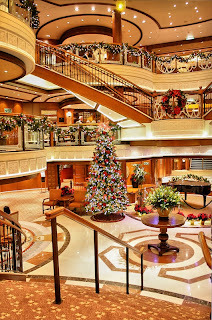 For deals on Cunard and other cruises, click here! 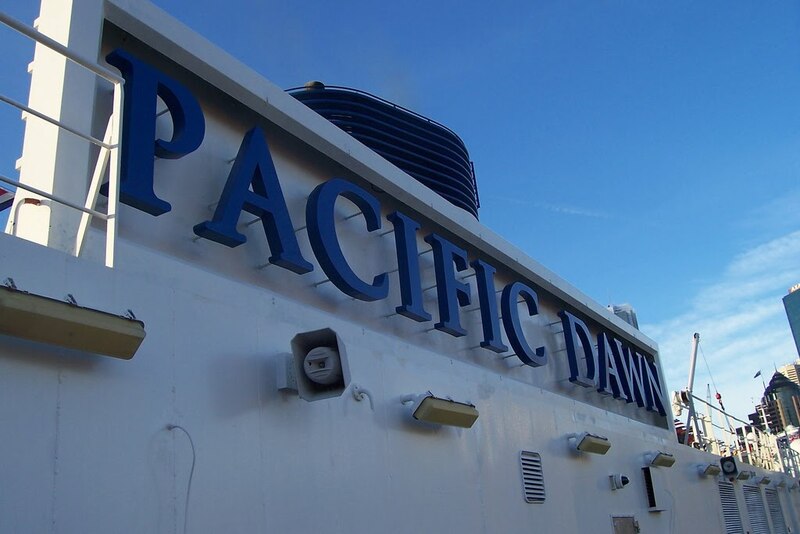 The Pacific Dawn, alongside at the Port of Tauranga on the 31st of March, hosted 84 visitors as a fundraising effort for the victims of the Canterbury earthquake. The group purchased tickets to take a tour on the ship and get a taste of the luxury of cruising, as well as doing some good- the entire cost of the ticket was donated to the Red Cross. The guests were given lunch and shown the public facilities of the 11-deck, 245 metre long ship, as well as a peek into some of the cabins. These types of tours are rare due to security reason, P&O's New Zealand Manager Shannon Currie told sunlive.co.nz. "We receive many requests from people wanting to have a look around our ships while they are in port, but unfortunately for operational reasons it isn’t usually possible. This is due to security concerns, particularly post 9/11"
"It was an opportunity that you don’t get often and I think they should do it more often because it would help people decide to take a trip on one." The Dawn Princess offers a jogging track, 9 bars and lounges, superb restaurants, whirlpool spas, library, duty-free shopping, medical centre and a gym and health spa. With a first-hand look at those facilities, it's a fair bet that some of the tour group will be back on board for a cruise in the future! 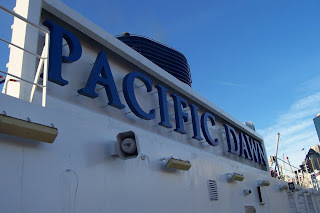 Find great cruise deals for the Pacific Dawn and other ships here!